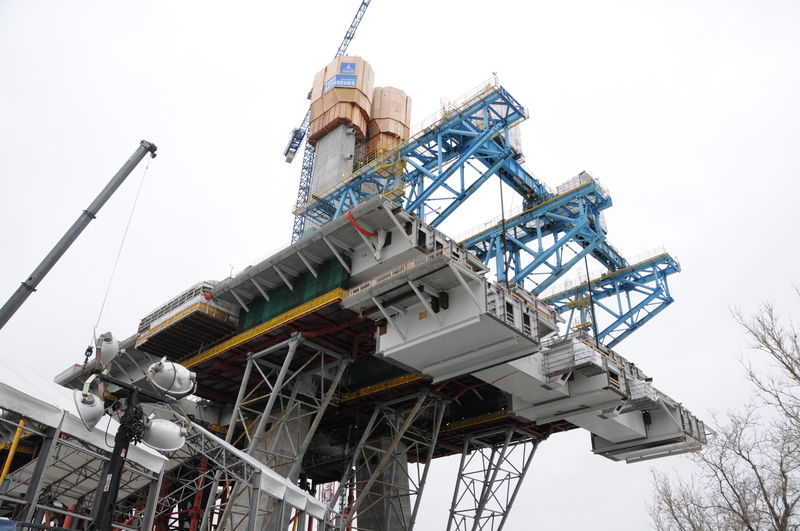 At the end of March, the teams for the cable-stayed portion executed a vital and highly complex manoeuvre with the installation of the first main span segment over the Saint Lawrence Seaway. 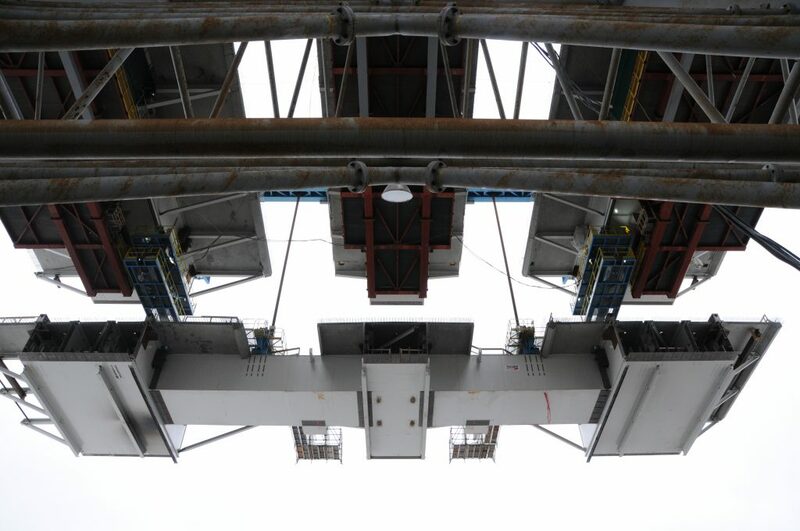 Step 1: The “moveable lifting beams (MLB)” raise the main span segment from the ground to the lower part of the bridge’s superstructure, where the load is transferred to two “trolleys”. Step 4: Once cable stays are added to finish the installation of the main span segment, the final concreting of the deck slabs completes the superstructure. One of the factors that make installing the main span such a complex process is that Seaway traffic cannot be disrupted during work on the cable-stayed bridge. We must therefore install these gigantic bridge segments over the marine highway, without interfering with the flow of commercial ships. The first hoisting was the result of continuous, 24/7 efforts by our teams in design and construction on-site, in the United States, in Spain, in Switzerland and in Italy, and by our proud workers here in Quebec. It was truly an international effort. 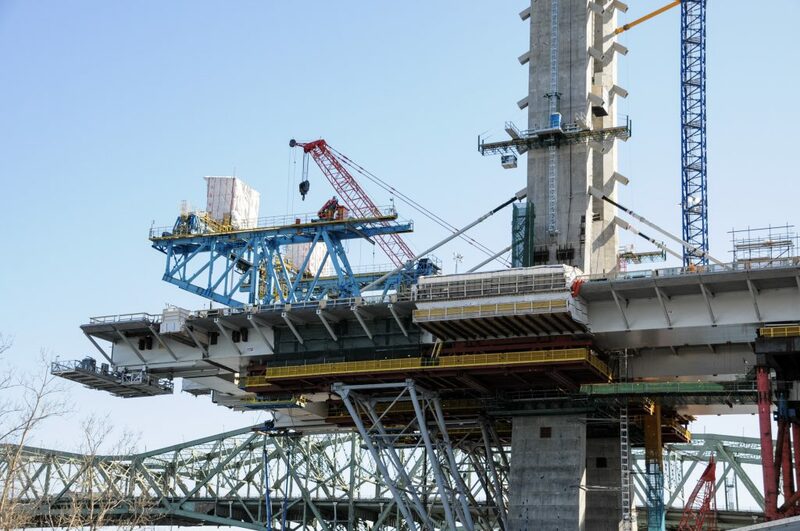 12 main span segments will be installed in the upcoming months over the Saint Lawrence Seaway to reach the other three, which will start at Île‑de‑la‑Couvée, on the South Shore side.